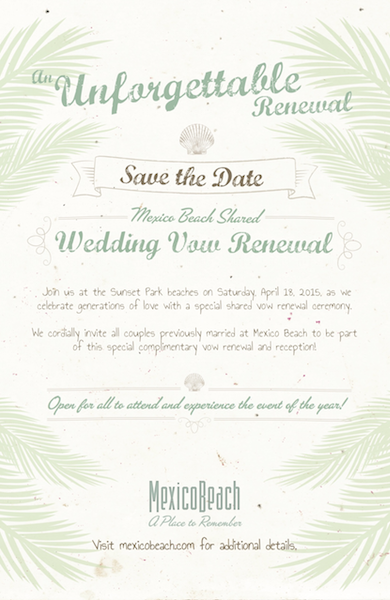 If you said your “I dos” in Mexico Beach, we would like to invite you to join in! Bring family and friends to celebrate on sweeping white sands while the sun makes its descent over the Gulf of Mexico. A reception will follow on the pool deck at the El Governor Motel with heavy hors d’oeuvres and a cash bar. Come spend the weekend in Mexico Beach and enjoy special rates from our lodging partners.